The 55-year-old was snapped speeding up and down an airfield, just as he did on a Kawasaki Ninja in the 1986 original. The Maverick is back, with the first pictures from Top Gun 2 sets streaming in! And true to his word Tom Cruise was right back at it on Thursday, riding his motorcycle once again as Maverick. The 55-year-old was snapped speeding up and down an airfield, just as he did on a Kawasaki Ninja in the 1986 original. Also parked at the San Diego military base was one of the fighter jets that will likely feature in the movie. In the snap, Cruise dons a flightsuit and carries the exact same helmet he wore in the 1986 original. With his beloved F-14 Tomcat long since retired, this time round Maverick will be piloting a F-18 Super Hornet. 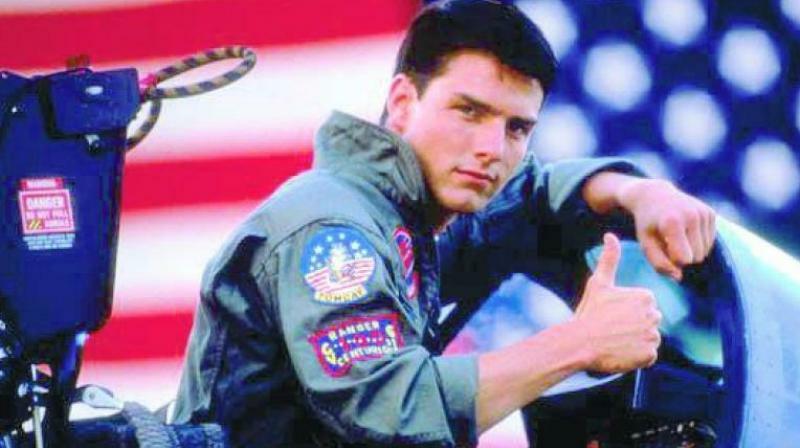 The sequel — tiled Top Gun: Maverick — has been in the works since 2010, when Paramount approached producer Jerry Bruckheimer and director Tony Scott. However when Tony — brother of fellow director Ridley Scott — committed suicide in 2012, the project’s future was in question. Val Kilmer is also set to reprise his role as Iceman. The film is slated for release on July 12.